What will you do if your family member or loved one who is living with HIV is down with flu? For those who are not immune-compromised, going down with flu is nothing to be worry about since over-the-counter flu medications, proper meals and rest will do the trick. Needless to say, you will see your loved one running and about in no time. But for people living with HIV (PLHIV), flu, fever, runny nose and cough are not to be taken lightly. For PLHIVs, common illnesses could cause complications that could later on develop into a more serious medical condition like pneumonia or lung problem. Loss of appetite due to common colds could lead to weight loss, which could then lead to other illnesses that could further lead to a more serious illness. 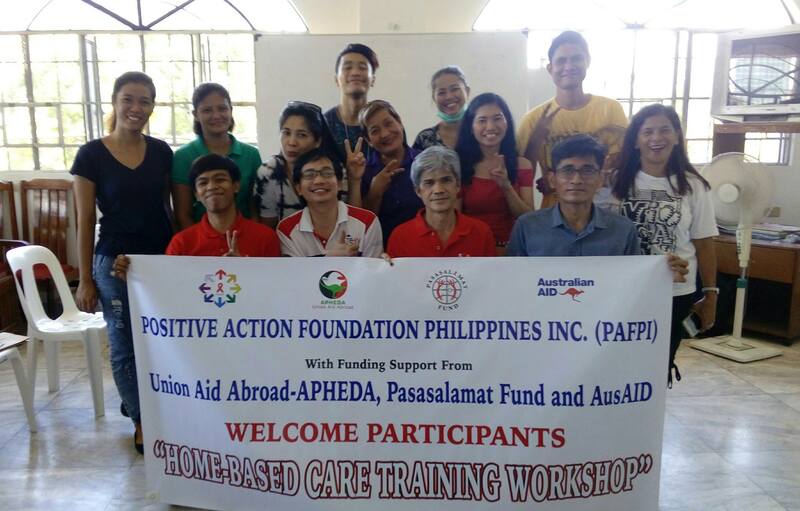 With this, Positive Action Foundation Philippines, Inc. (PAFPI) through the funding of Union Aid Abroad-APHEDA, Pasasalamat fund and AusAID, facilitated a Gabay, a Homebased Care Training Workshop. 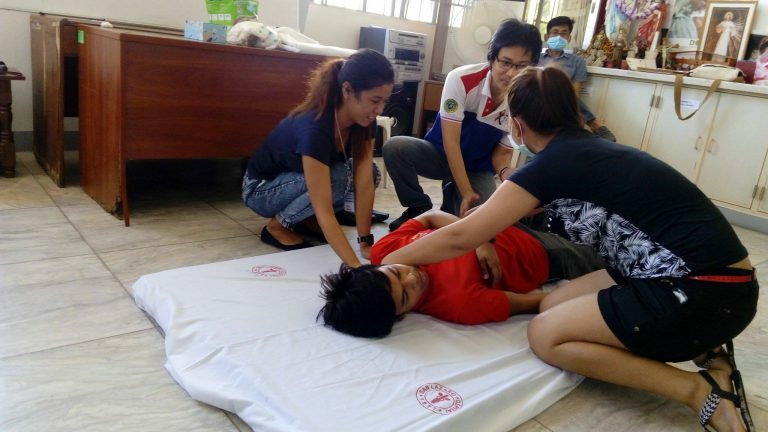 The two-day seminar and workshop that was held at the Extended Child Care Building at San Lazaro Hospital (SLH) in Manila teach the affected family members and significant others on how to manage common illnesses associated with HIV and AIDS. 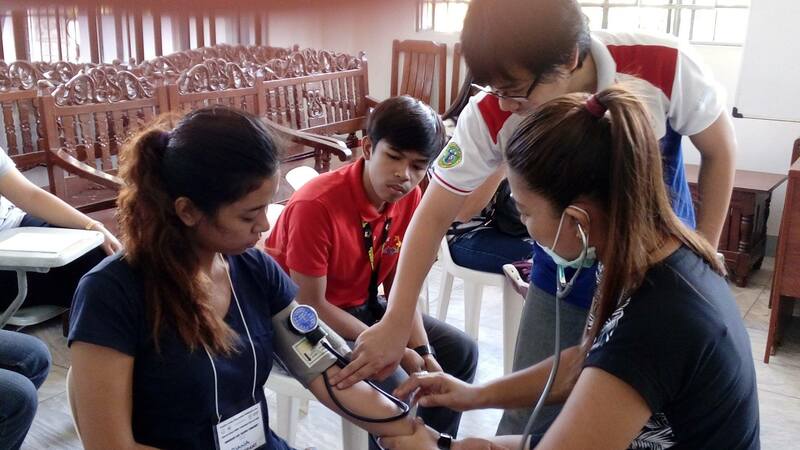 SLH’s medical practitioner’s Dr. Lalaine D. Arcangel and Registered Nurse Ralph O. Dela Cruz addressed the endless questions of participants, especially on how to properly take care of PLHIVs. 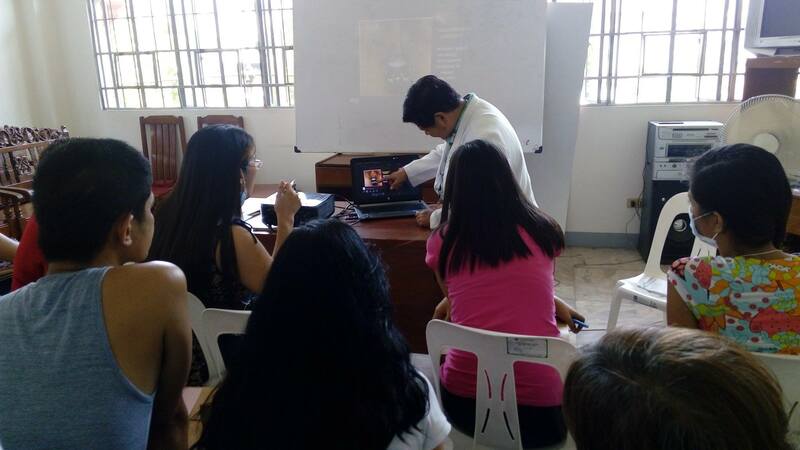 The workshop capacitated the PLHIV family members and significant others with knowledge and skills in management of common illnesses associated with HIV/AIDS. Hence, common colds like cough and flu should no longer cause any alarm and concern. Needless to say, affected family members now know what to do. Positive Action Foundation Philippines Incorporated (PAFPI) was formed in 1998 by Joshua Formentera who is the founding president with the help of other persons living with HIV Philippines and AIDS (PLWHAs) and their uninfected families. WE’VE GOT LOTS TO TELL YOU!